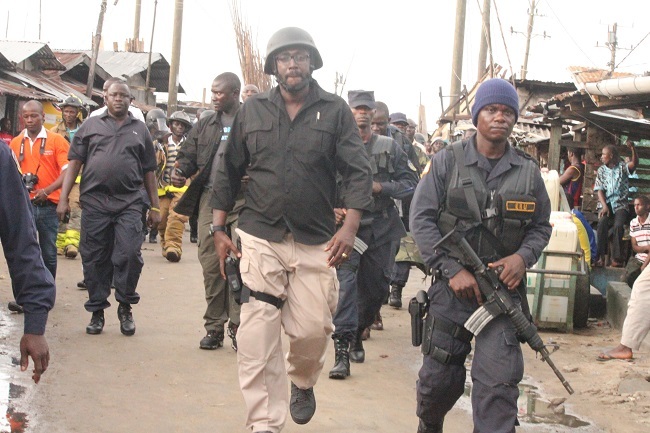 After hell broke loose Wednesday between Liberian security forces and residents of West Point, a slum community in the capital, Monrovia, that led to five persons getting injured as a result of gun fire, Police Inspector General Chris Massaquoi has warned police officers not to use deadly force in their mission to enforce the quarantine ordered by President Ellen Johnson-Sirleaf. Following the incident, Inspector General Massaquoi restored hope to the people of West Point township by announcing the reopening of the Zone-2 police station with straight warning to officers to respect right of the people. “The police are here for you and not your enemies as being speculated in many quarters. The order from President Ellen Johnson-Sirleaf is intended to protect everyone life because ebola is real. We all need to embrace the order by working together in containing the spread of Ebola,” he pointed out. 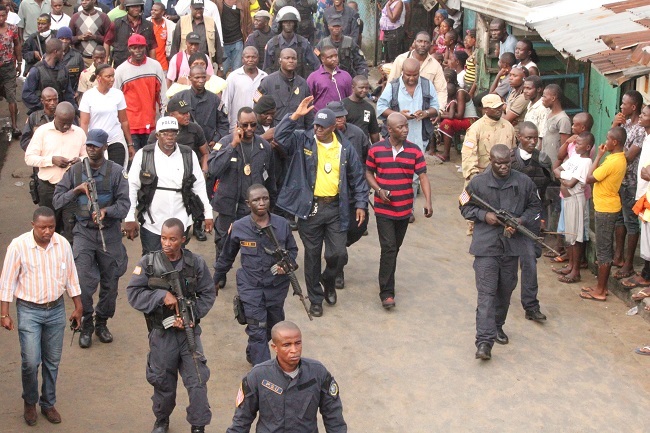 Inspector General Massaquoi, who toured the township, appealed to the residents to remain kind, adding that being violent will not solve the problems. “You people have to respect authority here if we are to succeed in combating this deadly ebola virus. Ebola is real and no joke. Please accept this and work with the government to contain it in order safe people lives. Others countries that were affected by the ebola virus have made significant progress in their fight. So, we need to support our government to stop the spread of it,” he stressed. Director Massaquoi also regreted the shooting incident that led to several persons injury adding that need to be violent especially in our own interest. Wednesday’s riot came less than a week after another unrest took place in the West Point community that saw the looting of an Ebola holding facility and the escape of over 17 suspected Ebola patients on Saturday, August 16. The incident in West Point is a stark reminder that the state of emergency and the subsequent curfew and quarantining of communities will continue to pose challenges to the government in its effort to maintain law and order.